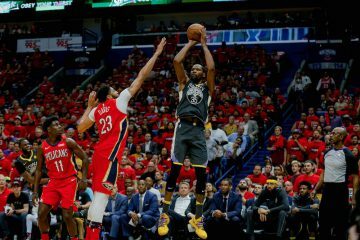 Harrison Barnes, SF 31 MIN | 2-9 FG | 0-0 FT | 4 REB | 0 AST | 1 STL | 0 BLK | 2 TO | 4 PTS | +3Barnes was a little out of sorts to open up the second half and got yanked roughly three minutes into the third quarter in favor of Carl Landry. His offense was mostly nonexistent in this one. Andrew Bogut, C 26 MIN | 6-9 FG | 0-2 FT | 5 REB | 1 AST | 1 STL | 2 BLK | 3 TO | 12 PTS | -2With Denver trapping in the half-court, the Dubs’ guards put the ball in Bogut’s hands at the elbows where he consistently drove to the rim for finishes. In addition, his movement off the ball allowed him to receive a few passes for easy looks at the rim. The Aussie also did a good job of protecting the basket and clearing out space for rebounds. Jarrett Jack, PG 42 MIN | 8-9 FG | 4-4 FT | 5 REB | 9 AST | 0 STL | 1 BLK | 2 TO | 21 PTS | +22Jack seemed completely unprepared for the trap early in the contest but adjusted and simply shredded the Nuggets’ defense with his shooting and playmaking. His decision-making was great and he consistently steered the Dubs in the right direction. 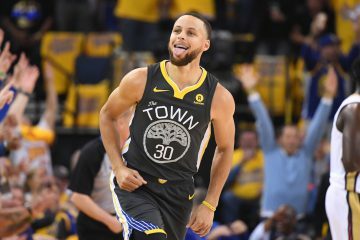 Stephen Curry, PG 33 MIN | 10-16 FG | 5-5 FT | 3 REB | 7 AST | 4 STL | 0 BLK | 2 TO | 31 PTS | +21Stephen Curry started out the night by allowing his big guys to get it going and then caught fire in the third quarter — scored 22 points in the period — and completely shut the door on the Nuggets. The only thing that stopped him was a poked eye that sent him to the bench. Klay Thompson, SG 43 MIN | 5-10 FG | 1-2 FT | 2 REB | 5 AST | 2 STL | 0 BLK | 3 TO | 13 PTS | +21Thompson forced the issue a bit but still spaced the floor beautifully. More importantly, when Ty Lawson went nuts in the third quarter and couldn’t be stopped, Thompson drew the assignment and cooled him off. Mark JacksonEvery time Anthony Randolph hit the floor, Jackson ordered his guys to feed Carl Landry who promptly scored every single time. In addition, Jackson yanked Barnes at the appropriate time and also had Klay Thompson defend Ty Lawson after he got hot. And just for good measure, the Warriors’ coach stole a move from George Karl and sent a soft trap at Lawson to slow down Denver’s offense. Golden State finally lost the rebounding battle. Denver collected eight more boards than the home team and even pulled down 12 offensive rebounds. This should have been problematic for the Dubs but they evened it out by winning the turnover battle. They coughed up the ball a bit but were far more disciplined in this one than in Game 3. The game was called tight from the start but the Warriors never truly adjusted. They kept bumping and hacking players to the tune of 38 free throw attempts. 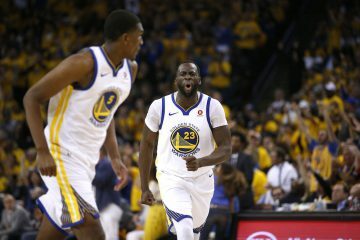 Listening to Dray Day: Draymond Green was a huge nuisance for the road team with his 13 points, six rebounds and four steals. He played with the energy and swagger of an established second unit veteran. 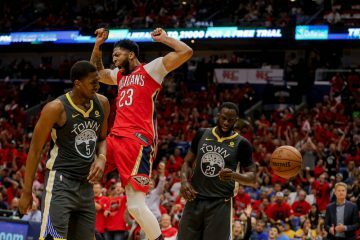 He earned a favorable charge call on the strength of his excellent defensive play throughout the series. For good measure, he even made two 3-pointers.